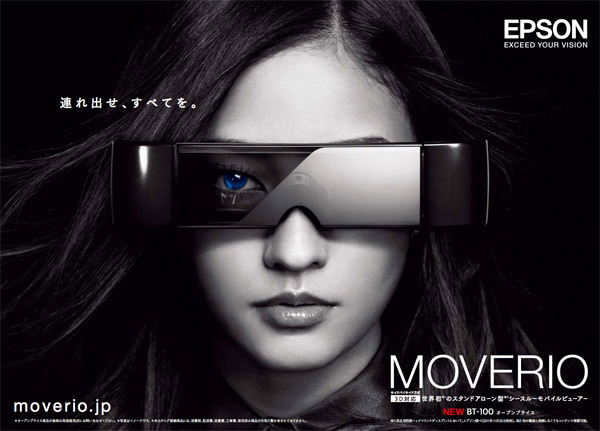 EPSON has come up with an amazing product Moverio BT-100. I feel to describe it, word amazing is far less. After reading this post,it may seem this product can be a concept design.But, believe me, this is an original product available in Japan and now imported to United states. Coming to Moverio BT-100, it runs Android 2.2 and pair of 0.52 inch LCD displays at 960x540 resolution to simulate a viewing experience of a 320 inch display from 65 feet away,much like a movie theatre. 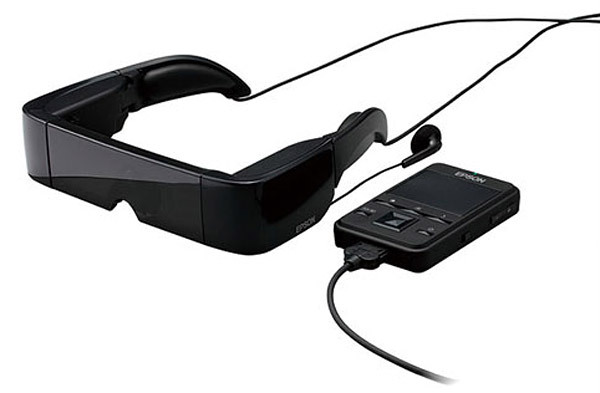 It contains an Android controlled box to view content directly from an SDHC card to the glasses. This device has the capability to stream various video formats including MPEG-4,MPEG-4 AVC,H.264 and audio formats AAC and MP3. This device can even stream direct from the integrated web browser and watch NetFlix or Youtube. 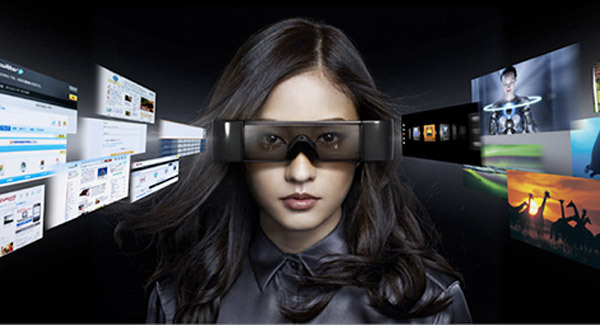 Apart from these features, these LCD glasses are transparent and makes you to keep an eye on your surrounding. For privacy, it provides a clip-on shade feature which make you to see out but other can't see in. Android controller weighs 160g/0.35lbs and glasses weigh 240g/0.53lbs which is quite less than laptop weight. Overall if you are looking for a 3D effect cinema display, this will be an ideal product.